For our next act in the 12 Acts of Kindness… Random Acts staffer Natasha and generous supporter and musician Justin Guarini went caroling to celebrate the holiday season and to bring a little extra love to those who needed it most. Random Acts staffer Natasha decided this holiday season to turn her 12 Acts of Kindness project into something even bigger than initially planned. 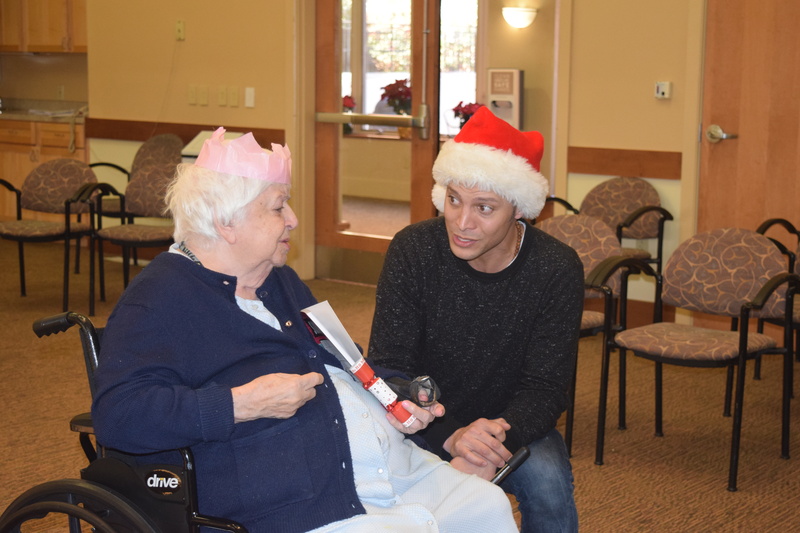 After finding out that Random Acts supporter, GISHer, and all-around talented singer/songwriter Justin Guarini was looking to spend a day singing holiday carols with a few Broadway friends to residents at a local nursing home, Natasha jumped in and suggested that the group turn the event into a sponsored act of kindness. “I asked if we could bring anything small for the residents [of the Deer Meadows Retirement Community in Philadelphia],” Natasha wrote early in December. In the end, community directors suggested a gift list that included items such as books, stationary, decks of playing cards and warm, cozy socks, among other things. 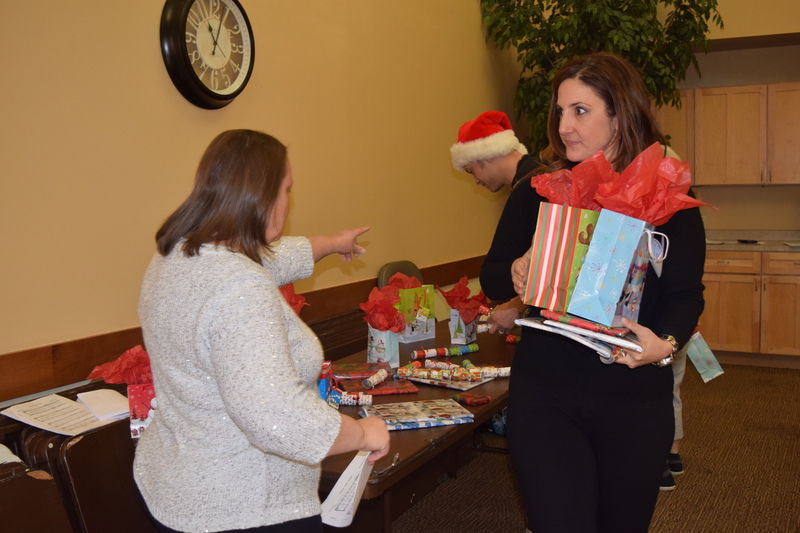 Using Random Acts funding, Natasha and the rest of the group purchased the gifts and got to wrapping. The day of the event, everything seemed to go off without a hitch. 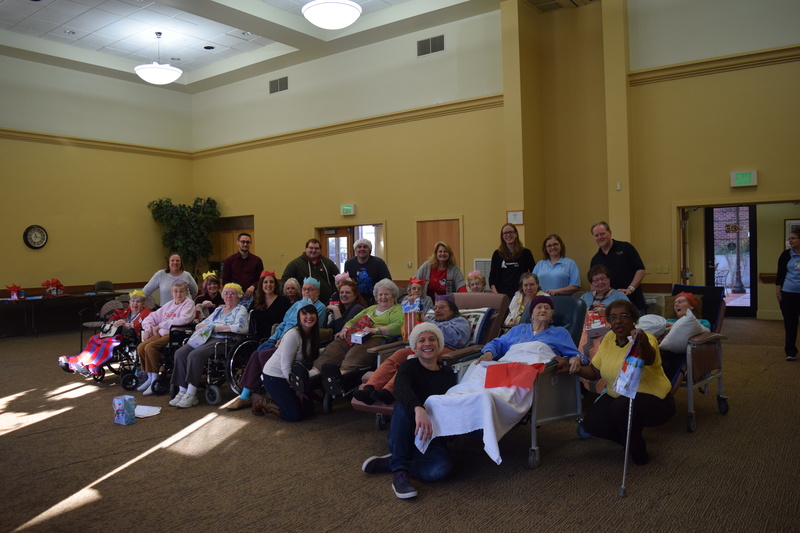 Leading the charge was Justin, who had assembled a beautiful array of holiday songs and Christmas tunes with which to serenade the residents (each of whom were, unsurprisingly, thrilled), as well as a host of talented fellow singers and musicians. Perhaps the best moment of the day came when one resident requested the popular 1934 Bing Crosby tune “Let Me Call You Sweetheart”. True to style, Justin happily obliged. After handing out gifts to the excited residents, it was time for the group to depart — but not without getting one last group photo. 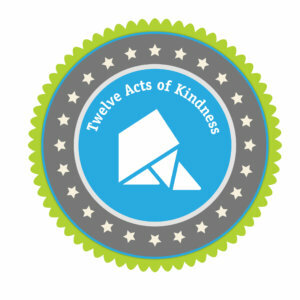 “We took that group photo with the residents, had it printed, and then presented it to them in a nice frame as a memento [of the afternoon],” Natasha wrote afterward. Whether or not the group intended to follow in the footsteps of one particularly famous pop-culture elf (“the best way to spread Christmas cheer” is, after all, “singing loud for all to hear”), they seemed to have achieved their goal of bringing joy to those who need it most — and then some. … Is it too early to start planning for next year’s visit?